Jypyä Pop (Turku, Finland) on 15 March 2019 in Cityscape & Urban and Portfolio. The river ice is already quite weak. Soon they will go towards the sea or melt in place. @Ralf Kesper: Thank you. This is part of old Turku. 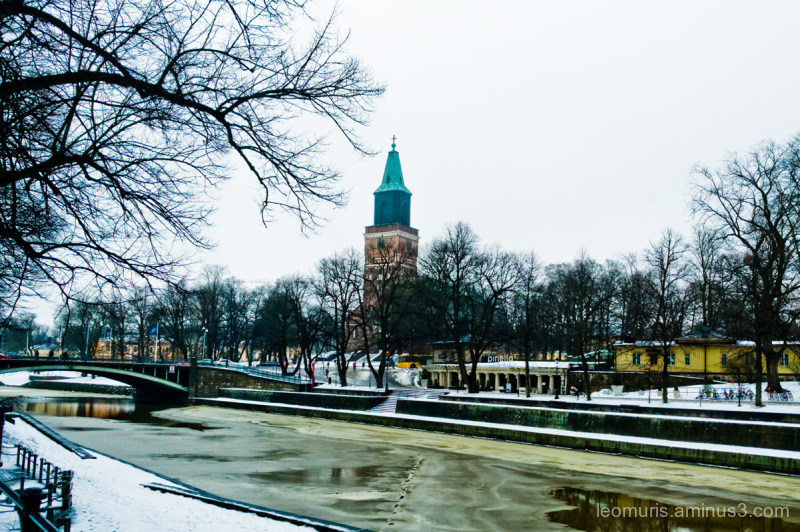 In the background is the Turku Cathedral, which has been named the Finnish National Church. The sun en spring coming soon. Here we have 7 days rain and storm. Beautiful view here ! The water looks so clear ! Yes, you can good see that the ice is melting in this image. It takes time to see traces of winter. It's good to see the ice melting and Spring drawing near.